As part of DXN continuous effort to encourage more high quality DXN products to improve our everyday life and our health. We use these DXN products (DXN Ganozhi™ Toothpaste, DXN Ganozhi™ Shampoo, DXN Ganozhi™ Body Foam) every day, and really love them, but DXN gave a PLUS for these products. A new revolutionary toothpaste from DXN with the distinctiveness of being enhanced with Ganoderma extract and a tooth-friendly ingredient – XYLITOL, which helps to maintain oral health. 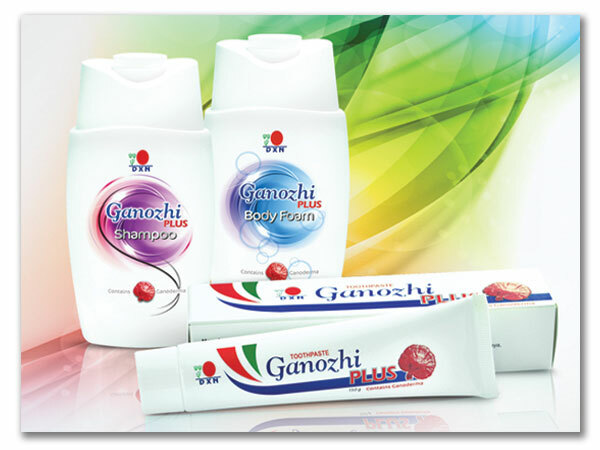 DXN Ganozhi™ Plus Toothpaste has no artificial colouring, SLES, SLS and Paraben. It will effectively clean your teeth and refresh your breath with its minty taste. DXN Ganozhi™ Plus Shampoo is a new variant of hair shampoo formulated by DXN which is enriched with Ganoderma extract, Vitamin B5 and enhanced with hair conditioner. It has no artificial colouring, SLES, SLS and Paraben. It has pH balance and is suitable for all hair types, leaving your hair silky soft and glossy. Hope to buy it soon worldwide, also in Europe and in the USA too. We will inform you as soon as it avaible.